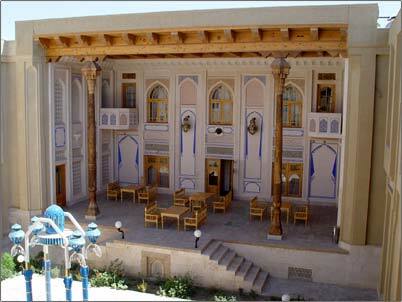 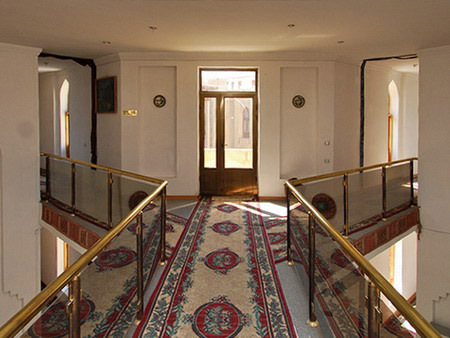 Newly constructed hotel in Bukhara, the hotel «Caravan» opened its doors for guests in September 2003. 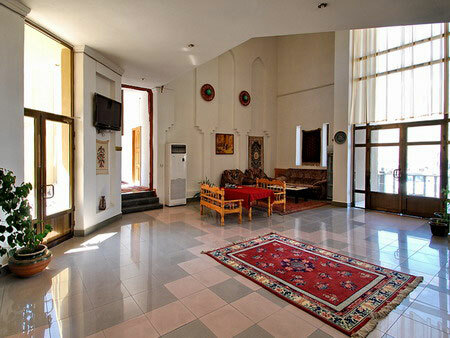 The hotel has an excelent view to the Ark Citadel and Kalyan Minaret complex. 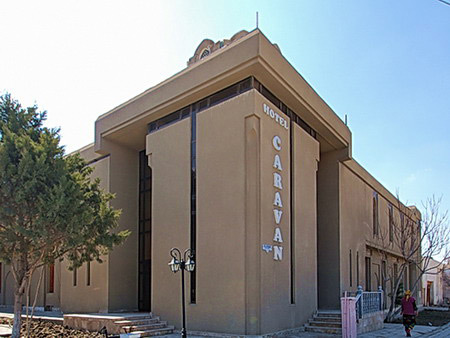 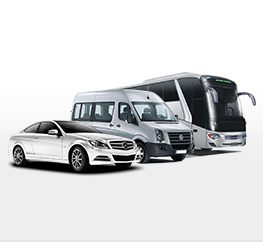 Caravan provides modern accommodation at reasonable rates. 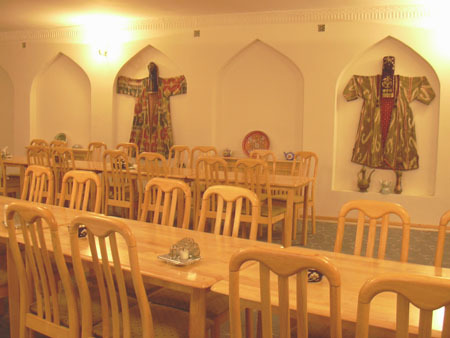 The hotel features 19th century Ayvan, where during the summer days and evenings guest can enjoy national meals and drinks after the long travel between and in ancient cities of Uzbekistan. 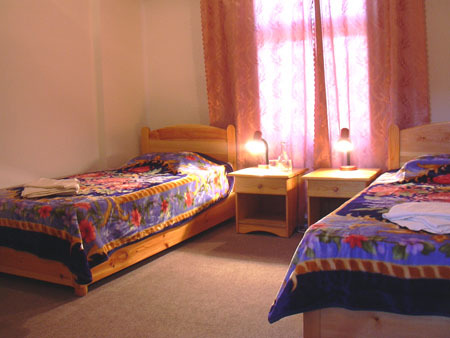 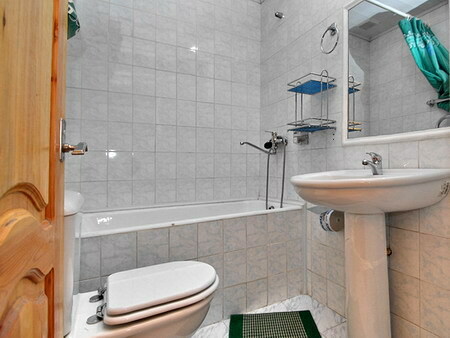 Hotel Caravan features 2 deluxe and 26 standard rooms including.